Create and Control your Sims and build them unique homes. The Sims 4 is now available on Mac! Players who already own The Sims 4 for PC can access the Mac version through Origin. The Sims 4 Life of the Party Digital Content – Features the Flaming Tiki Bar and spectacular party costumes. The Sims 4 is the highly anticipated life simulation game that lets you play with life like never before! Create and control Sims with big personalities, new emotions, and distinct appearances. Experience new levels of creativity when you sculpt Sims with the powerful Create A Sim and design beautiful homes with tactile, room-based Build Mode. With free content updates for owners of The Sims 4 if and when available, you’ll have the latest content and features to evolve your game experience. Control the mind, body, and heart of your Sims and explore lively, vibrant neighbourhoods filled with rich communities of smarter Sims that bring your stories to life. In this free game update, players will experience entirely new career-related content with the addition of Business and Athletic careers. Each career branches into two new paths. Sims who dream of a life filled with power and wealth have the option to become an Angel Investor or Business Tycoon. Or Sims aspiring to live a life of health and fitness can strive to become a Hall of Famer or Mr. or Ms. Solar System. 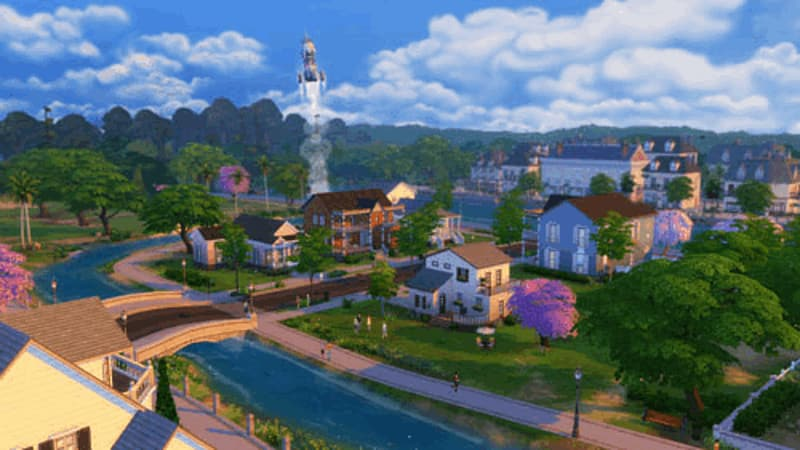 With each career, Sims will be given specific outfits that change throughout their careers and will unlock unique objects and interaction rewards. Sims looking to fast track their careers can also take advantage of new chance cards. Will Sims take the opportunity to move up the corporate ladder quickly or stay the course and show loyalty to their current employer? In addition, by playing through these careers, players will unlock four career-reward rooms that can be found in Build Mode. 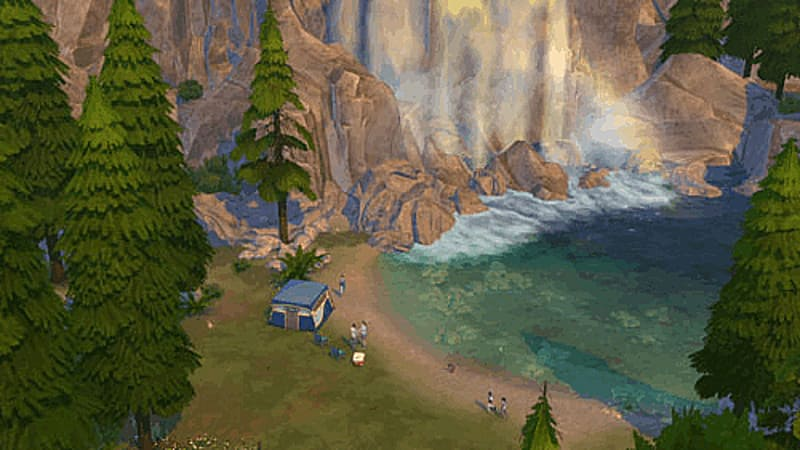 Now with Pools and Ghosts: Pools and ghosts have arrived and are now inc luded in The Sims 4 with the most recent updates. We’ve designed the game to be a live service so that we can continually evolve The Sims 4 experience with exciting new features and content. - Sims with Big Personalities: Create and control a new generation of Sims with big personalities, new emotions, and distinct appearances. Smarter Sims are more relatable, have the ability to multi-task, and come to life with new emotions and lively animations. 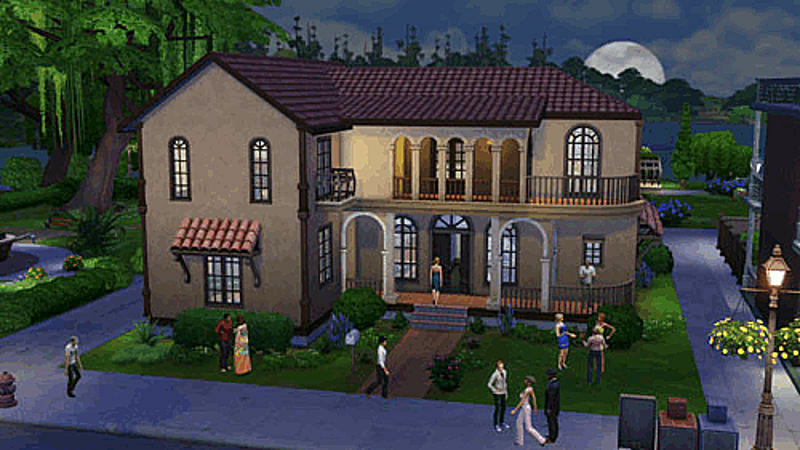 The Sims provide you endless possibilities to create rich, entertaining, and weird stories. - Powerful Creative Tools: All-New Create A Sim and Build Mode have been reinvented to be more powerful, intuitive and fun than ever before. You have the control to sculpt Sims with tactile precision. Effortlessly construct the home of your dreams with the all new, room-based Build Mode. Styled Looks and Rooms inspire you with curated outfits and designs to add to your Sims and homes in The Sims 4. 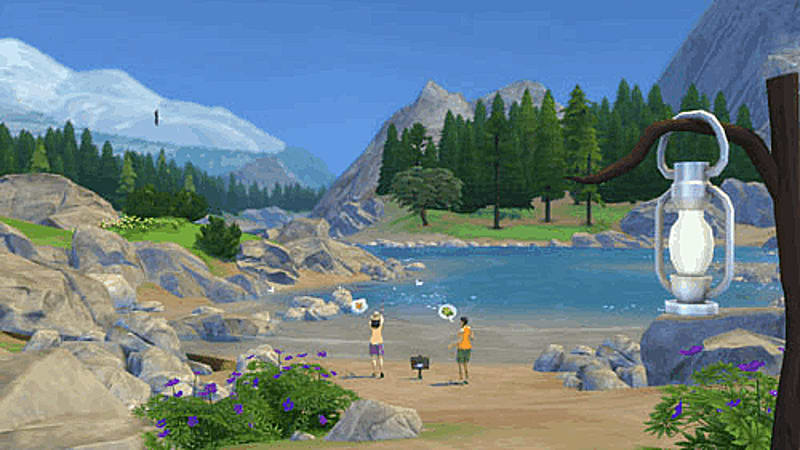 - Vibrant Worlds: Explore lively, beautiful worlds filled with rich communities of Sims. Choose among beautiful and diverse lots for your Sims to build their homes and explore activities. 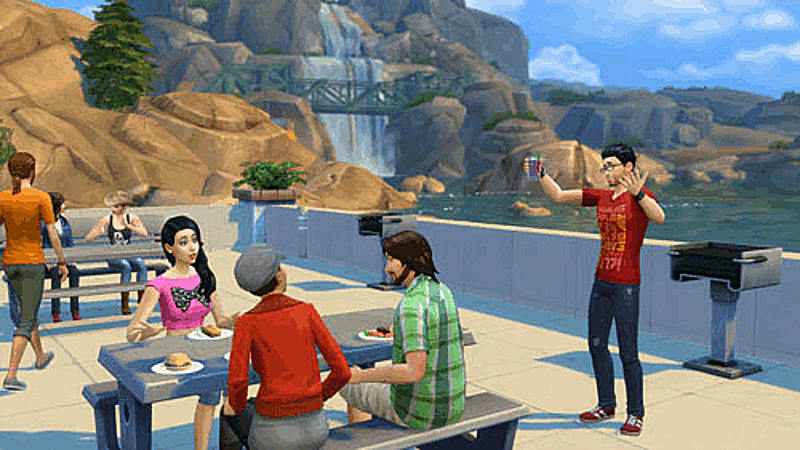 Expand your social circle and interact with other Sims in the neighbourhood and hang out in community parks and venues. - Share Your Creations: The Gallery allows you to see, share, and download new content without ever leaving your game. Get inspired by rich content created by The Sims community and add new experiences to your game.